And we do not plan to stop here. We have recently purchased new smart tables for the hall. We plan to fit new upvc security windows to replace the old wooden ones which are in need of replacement. We would like to smarten up the place with new curtains to give a more modern look. These curtains are still from the pre-1991 hall. We have replaced the front door with a pair of new ones and maintain the borders around the front door. And with funding we would like to modernise the hall and provide more storage for users. We also plan to extend the kitchen area to welcome a new generation of users. We believe the village hall has been shown to be a real asset to the local community and would like to thank all the people who have helped to raised funds and contribute to make the hall what it is today. The new hall was built by local building firm Mills and Douglas and opened in 1993. The Haslingfield Little Theatre established themselves quickly as one of the main users of the hall and performed their plays using a temporary stage which was assembled and disassembled twice a year. Since then we have seen many impressive performances from the Haslingfield Little Theatre who seem to be going from strength to strength and the hall is used every week by over a dozen of regular user groups in addition to many other casual users. 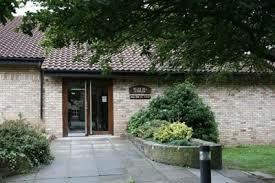 However a small group of determined people got together in the late eighties and managed to persuade the villagers, that a new purpose built hall would be a good idea and Peter Hall Architects of Cambridge were asked to prepare some initial plans based on all the user groups requirements. These requirements included a kitchen, changing facilities and showers including a room for the referee, a view over the recreation ground, toilets including a disabled toilet, a hall large enough to seat at least 100 people, space for a temporary stage with a height of at least 4m and preferable not too expensive. (cont…) However by 1974 the wooden hut was in a poor state of repair and was knocked down. 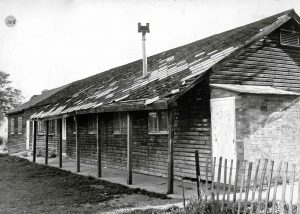 A new part wooden, part brick hut was built in its place which lasted to the early nineties when plans had been made to build a new village hall. As there was no easy funding available in those days nor was there a lottery fund available, there was a significant amount of opposition to the idea of a new hall as the costs for a new hall were estimated to be in excess of £150k (actually £154k). (cont…) The opening day for the new recreation ground was arranged for April 13th, 1925. To commemorate the event, a monument to the patron, Mr. Badcock, was unveiled which can still be seen to the right of the entrance of the village hall. A wooden pavilion was soon purchased and erected with money from the Badcock Trust. In due course a kitchen and billiard room were added, and many social functions were held to raise money for its upkeep. 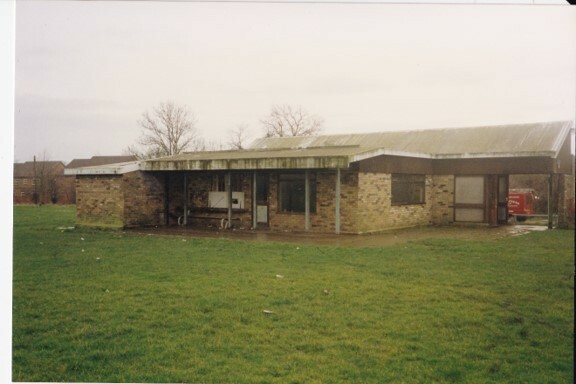 After World War II the recreation ground was levelled, a cricket pitch laid, two tennis courts built and a children’s playground with swings et cetera were provided, mainly by volunteer labourers and contributions from the villagers. A series of gymkhanas and other events were held to finance this. 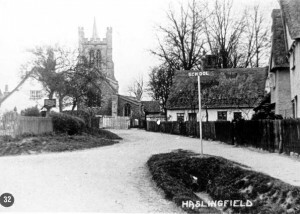 These are a series of articles which give more insight into the history of the Haslingfield Village Hall aka Pavilion and the recreating ground around it. 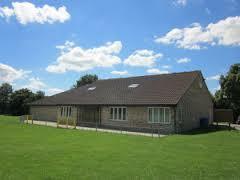 Before we start with the village hall we need to have a look at the recreation ground on which the hall was built. This ground was given as a legacy by Mr. Henry Badcock, who died on October 10th, 1921. 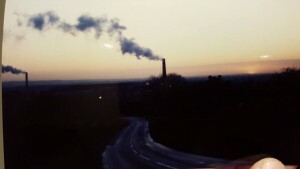 He was a local Victorian figure, a reserved, kind man who farmed land at the bottom of Barrington Hill. 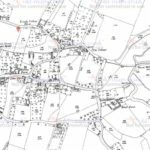 He left some of his money in the hands of trustees with verbal instructions that the money was to be used for the specific purpose to buy a small piece of land which was to be used as a recreation ground for all the villagers to use. The field that was purchased was running along river lane and was separated from another field by a long hedge running along its edge. This field was owned by the Chivers family, who gave it to the village on the condition that the two fields were made into one and used as a recreation ground in perpetuity. 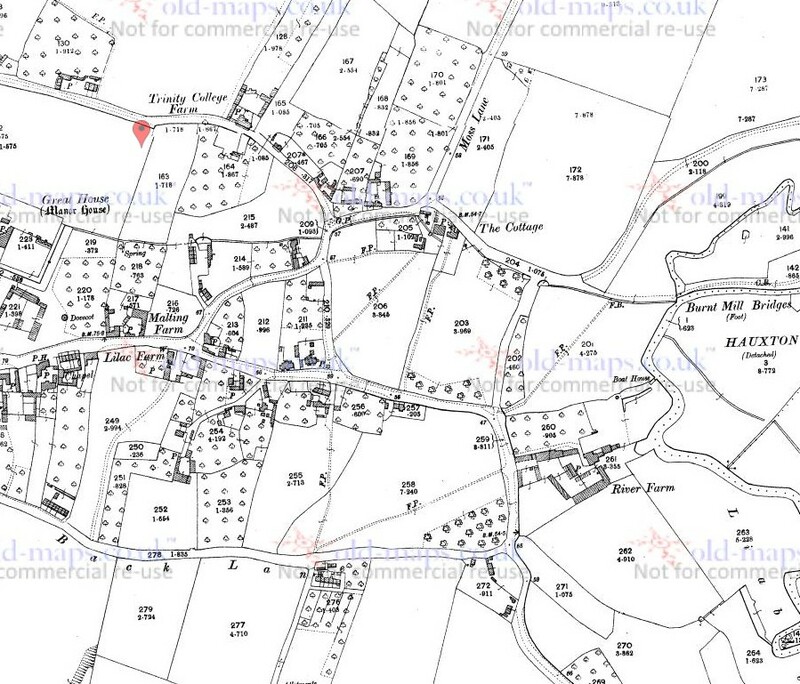 This is more or less the size and location of the current recreation ground. Richard Cooper posted on the Haslingfield Facebook Page this photo of the Barrington Cement works when both chimneys were active. He thinks it was taken in the 1990s and no later than 1992. Anymore information would be greatly appreciated. At the beginning of the 20th century the school holidays in Cambridgeshire schools coincided with the period of harvest time, and many local pupils were employed to help bring it in. Percy Barnard was eleven in August 1918 when local farmer Mr. Watson employed him to lead the horses in one of his fields. Percy was leading a horse and cart loaded with corn down a slope when the horse bolted, and the cart seemingly ran over the boy. Dr. Young of Harston was summoned to the boy’s house immediately, but found no evidence of external injury. Sadly Percy had suffered severe internal injuries, and died the next day. A witness thought that the horse rather than the cart had inflicted the damage, and tragically the boy died the next day. The coroner’s jury recorded a verdict of accidental death, with no blame attaching to anyone. When conscription was introduced during the First World War, in 1916, those seeking exemption from military service were required to appear before local Tribunals, consisting of civilian as well as military personnel. 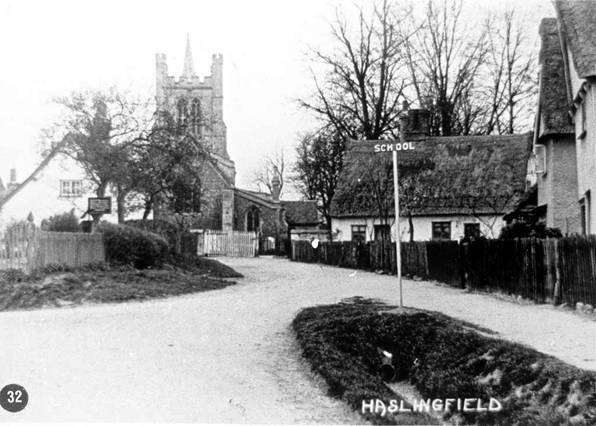 For the inhabitants of Haslingfield, ‘local’ meant a trek to Chesterton.